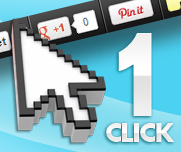 Click.org's Viral Marketing Toolbar makes any website instantly social and encourages user interaction and sharing. Add our fully-customizable toolbar to any of your links with just 1 click. No coding, no hassle, no problem. 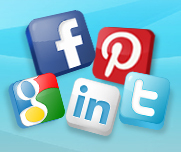 Our social media marketing toolbar will help you make a big social impact. Turn clicks into fans and followers (and more clicks) by harnessing the power word-of-mouth marketing with our exclusive viral marketing social media tool bar. Our viral bar makes it easy for your users to share your links across many popular social media websites like Facebook, Twitter, Google+ & Pinterest to increases page views, boost user engagement and promote your content with just 1 click. You can add our viral marketing social media toolbar to any link on any website and when fans and followers love your messages, they'll share them with their friends and you'll get free, targeted traffic back to your links. Sign up today - you're gonna love it!